Here we have a wonderful player’s gigging horn, serial 125xxx, in the same range as Coltrane’s MK VI tenor. 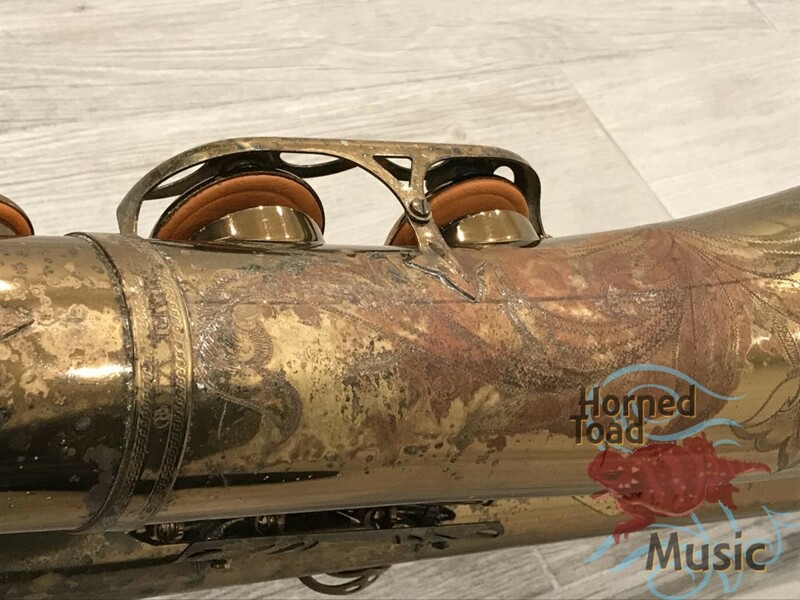 This horn has very new fresh pads on it that I have gone through and seated a bit as well. 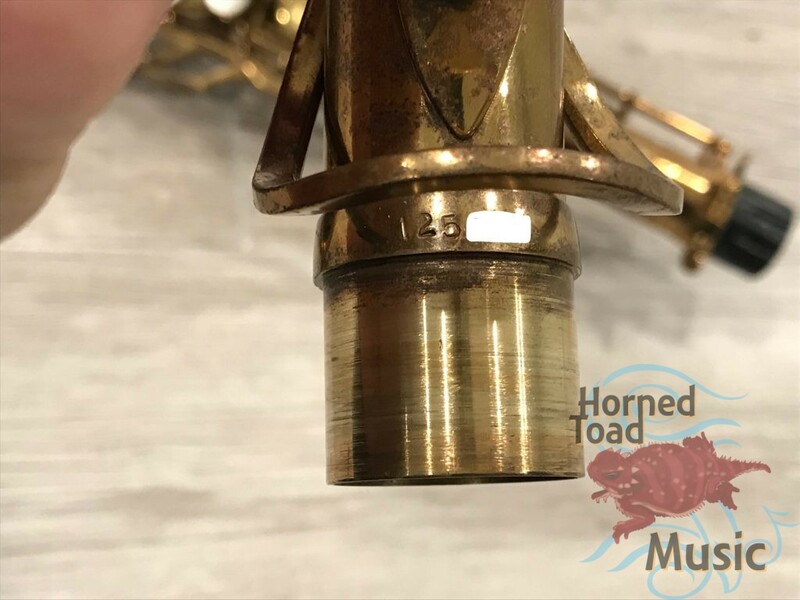 The resos are plastic which very much suit this horn. 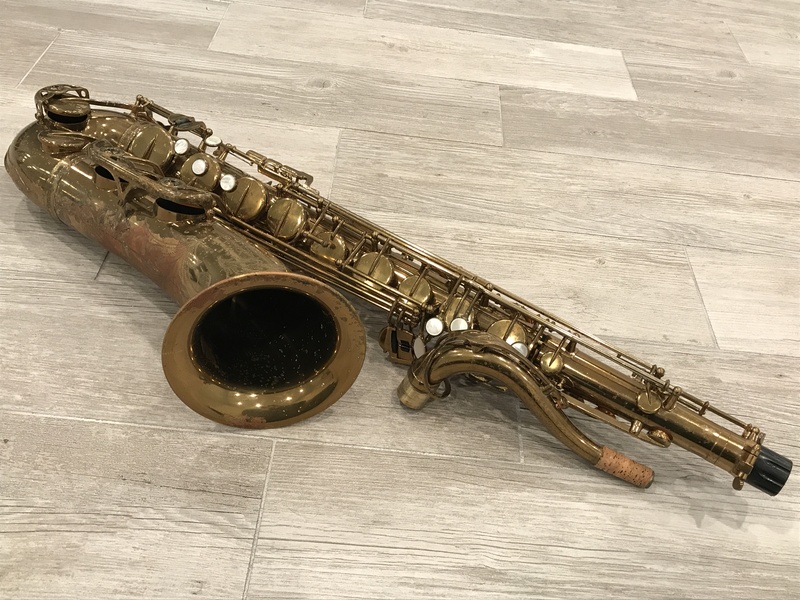 It feels and plays great! 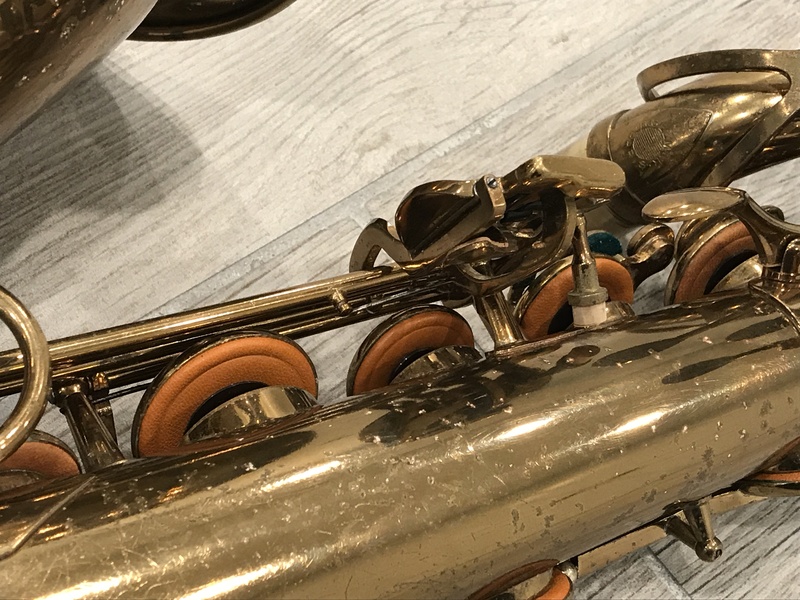 The sound is very full and precise and satisfying. 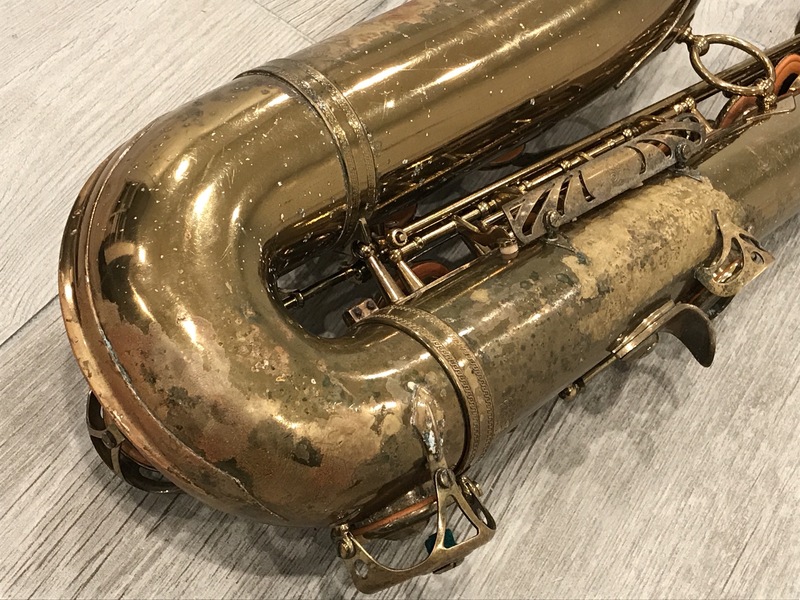 It is not shy, plenty loud and defined sound. 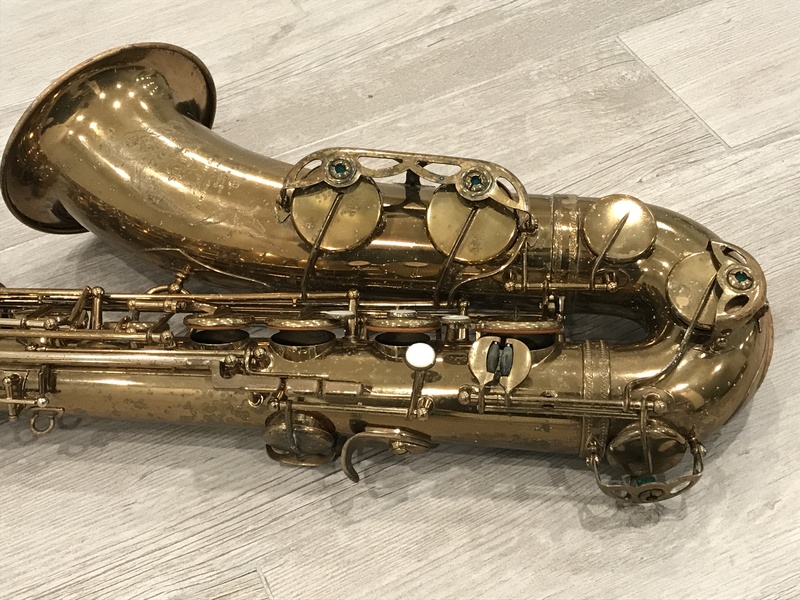 The setup is pretty good, will not need much attention for a long time I think. 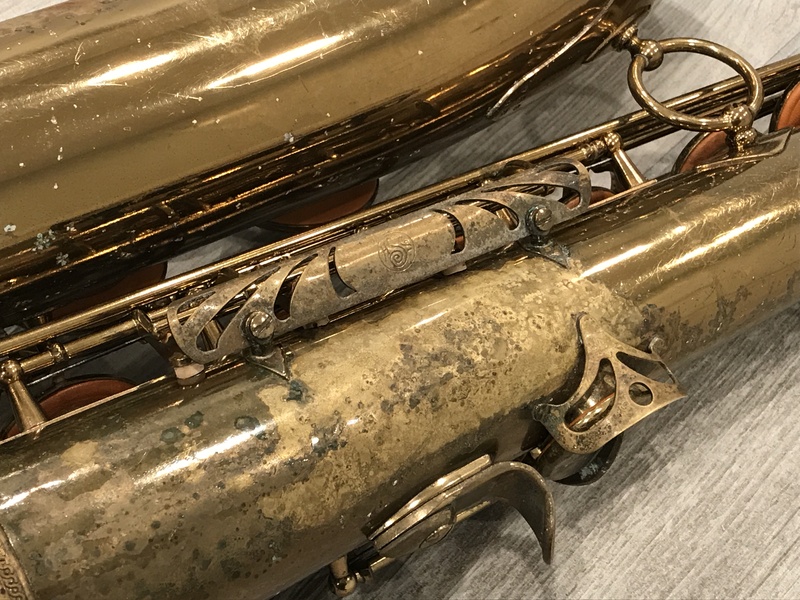 The lacquer is original but fared rather poorly over the years with some water damage that can be seen in the photos. The horn and mechanism have not been affected apparently, just the lacquer is a bit challenged. 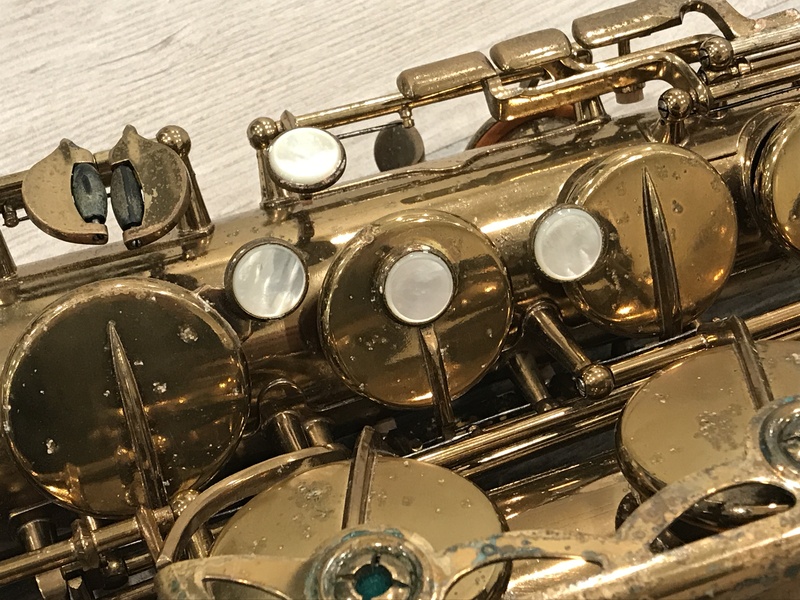 The neck is in great condition, no pull down, and I did not find any solders or serious dents on the body either. 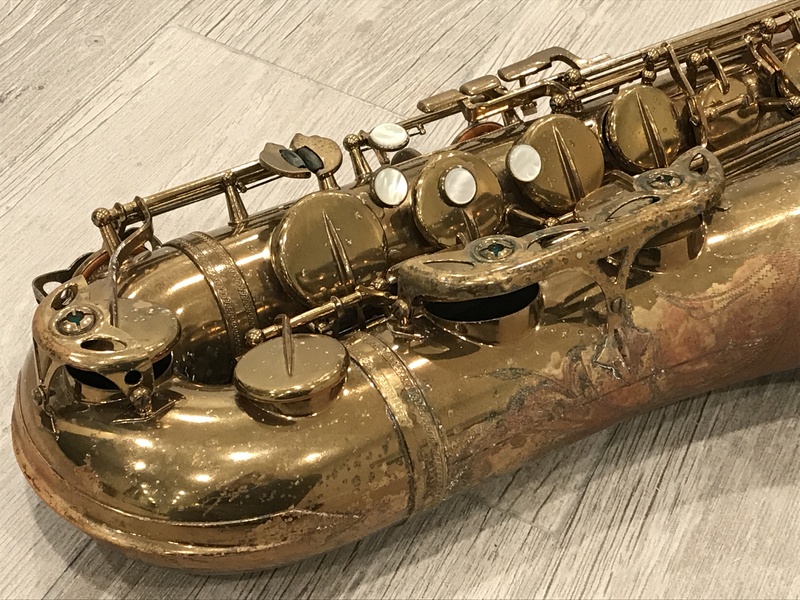 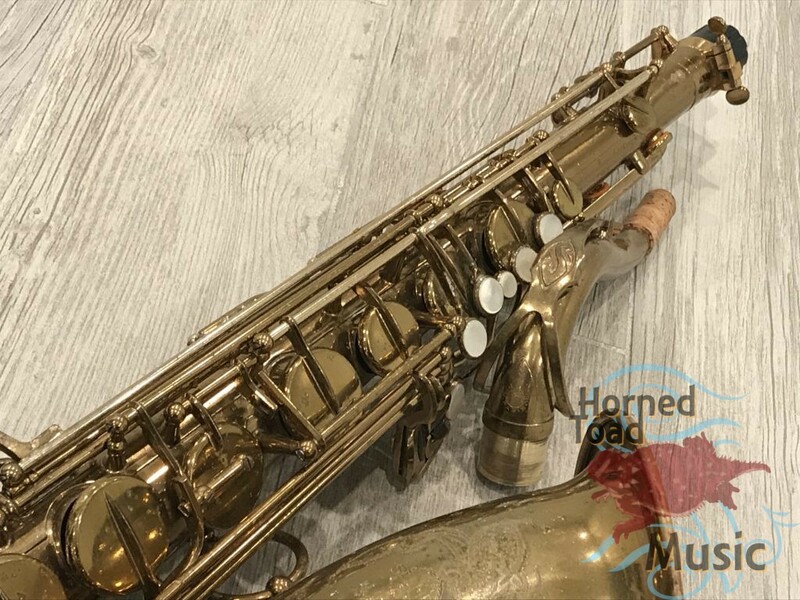 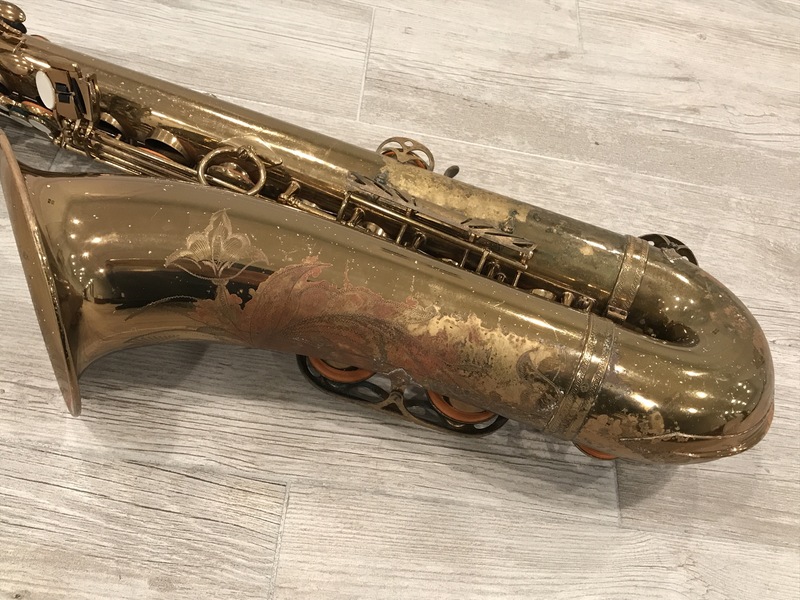 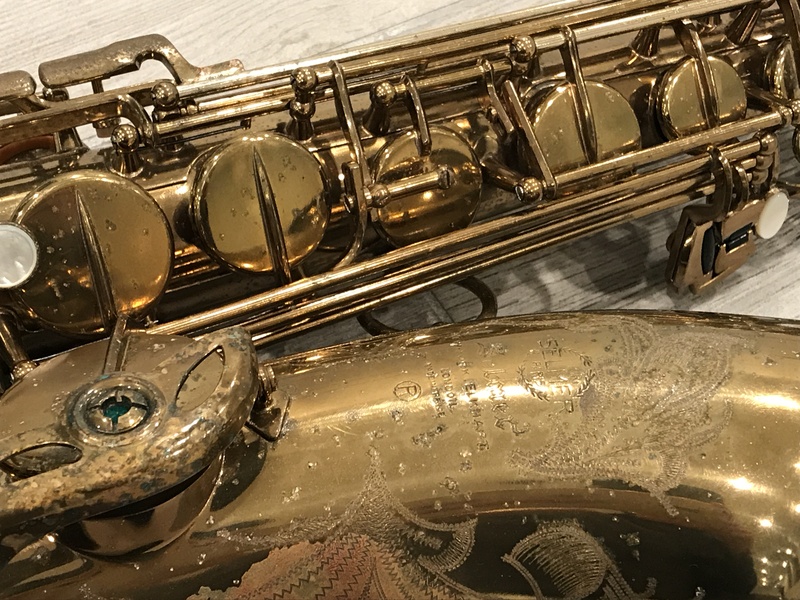 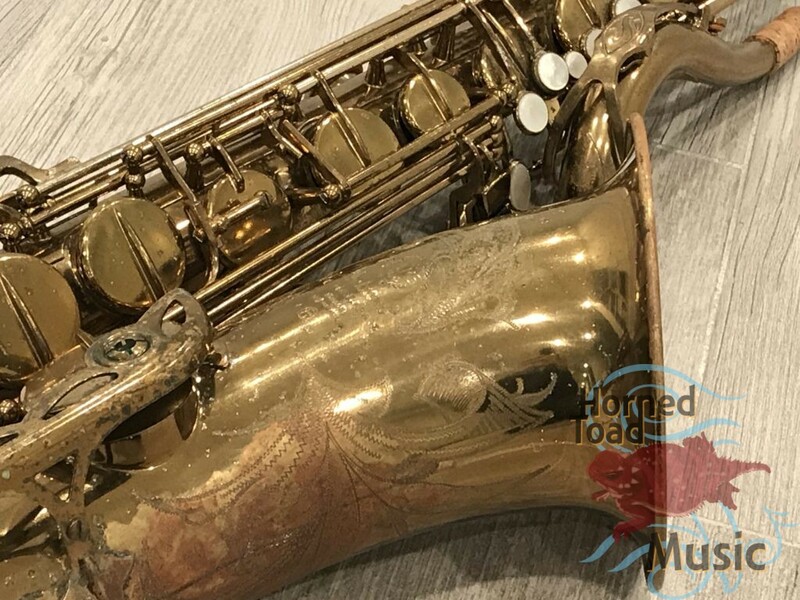 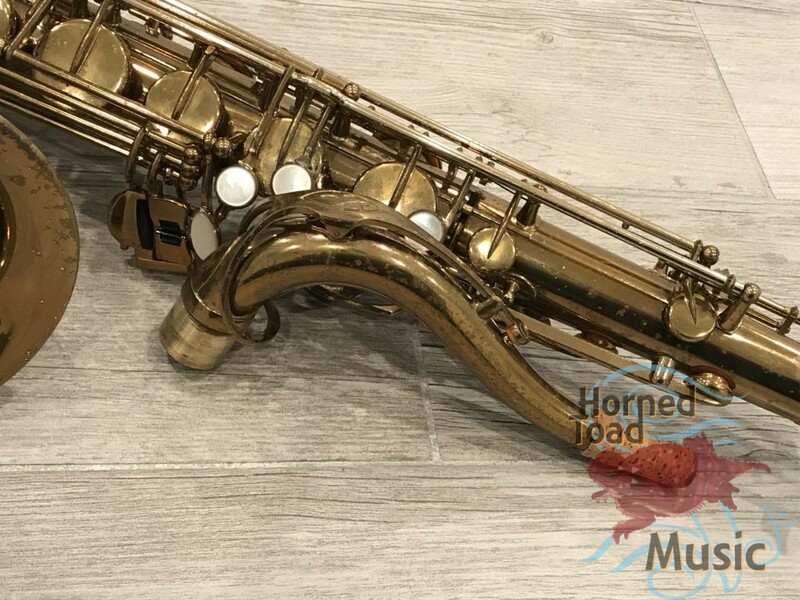 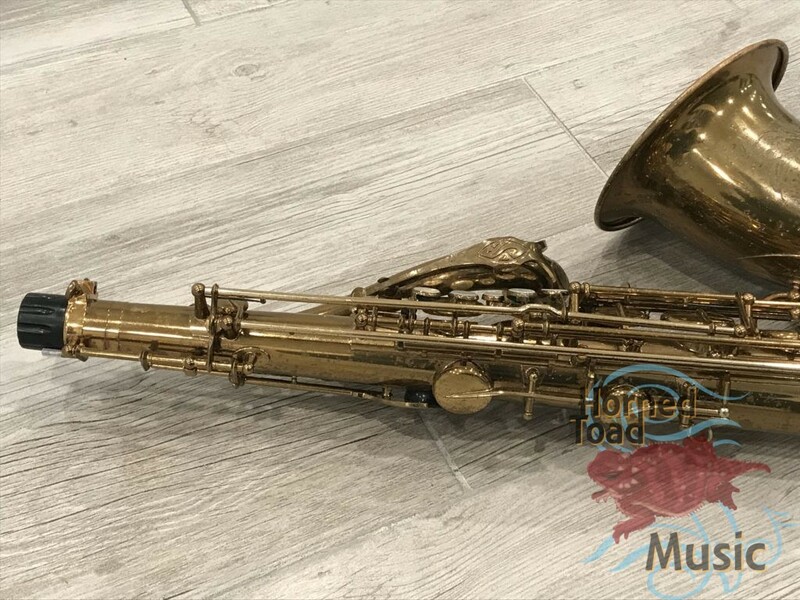 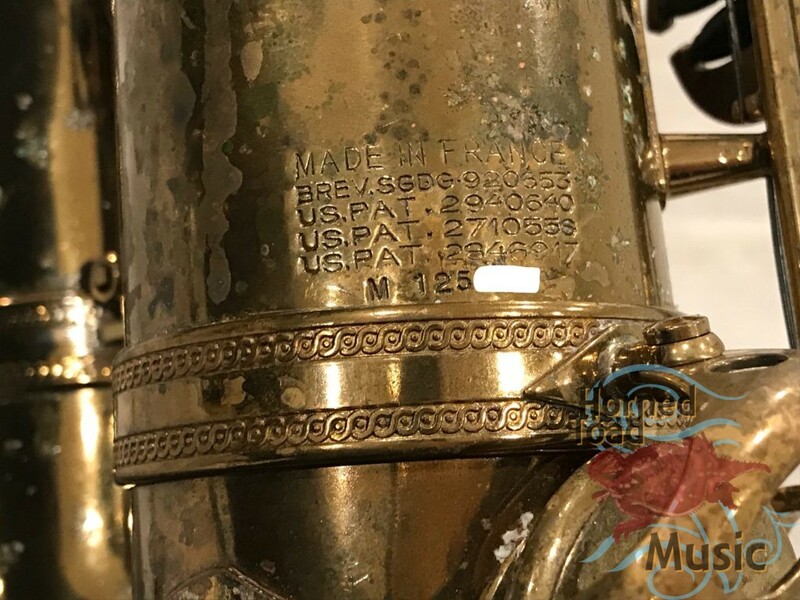 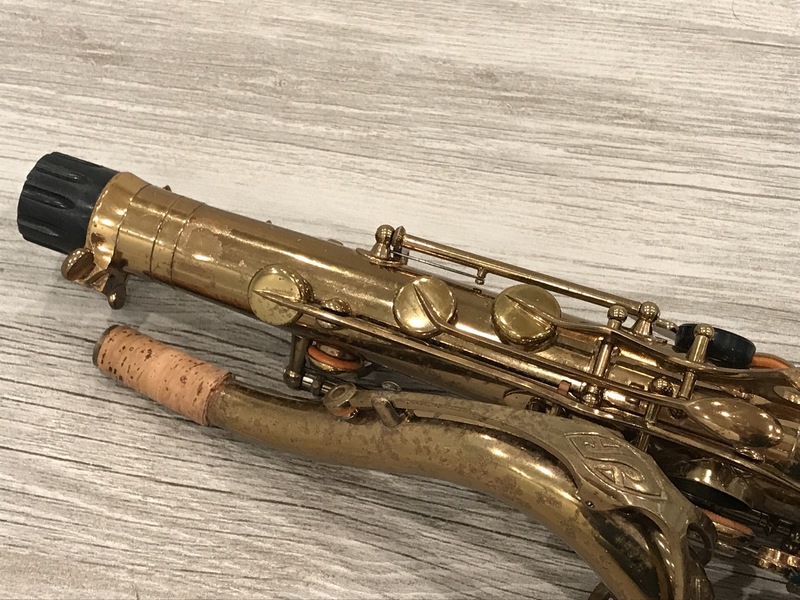 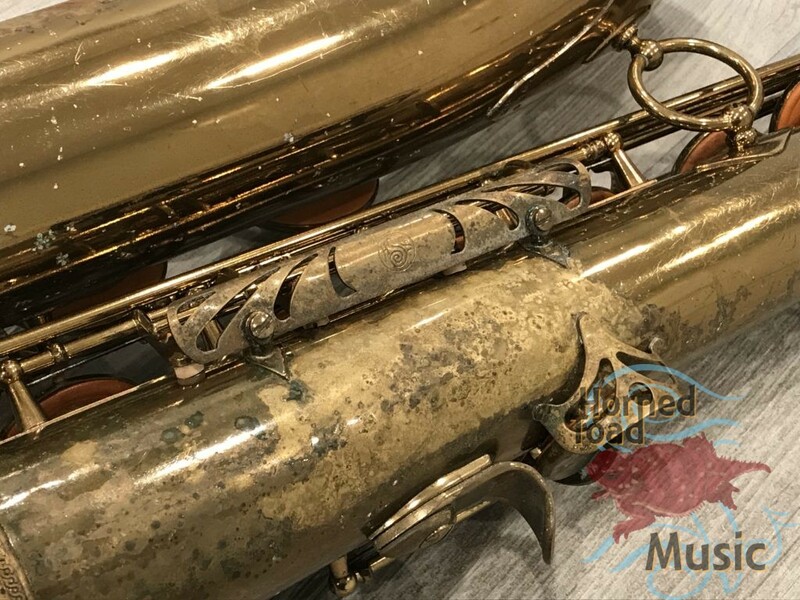 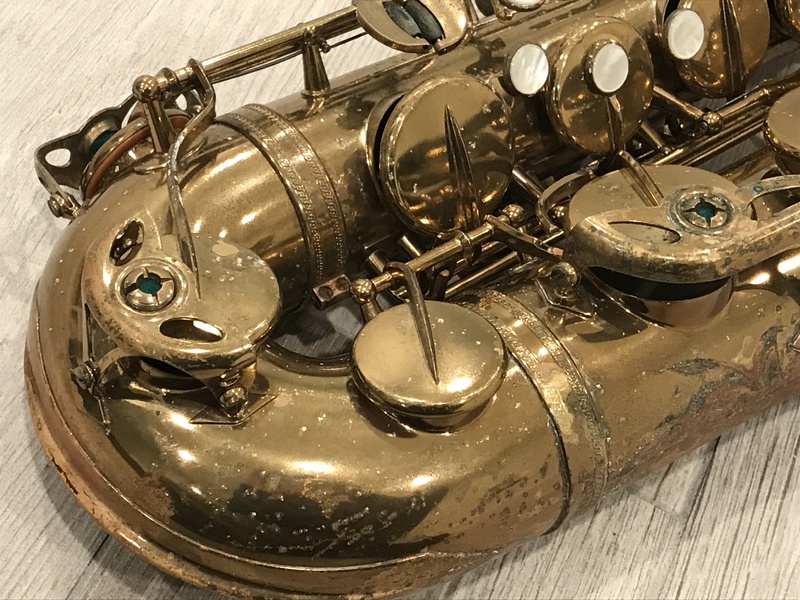 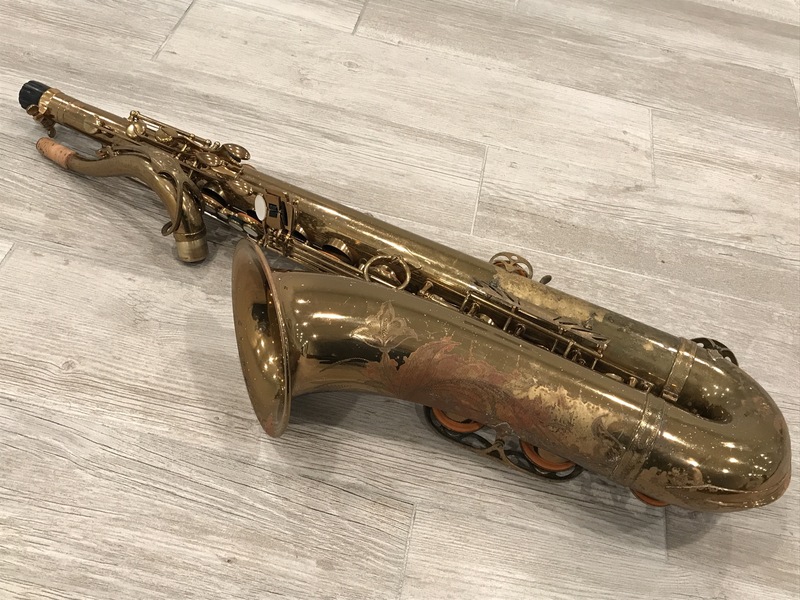 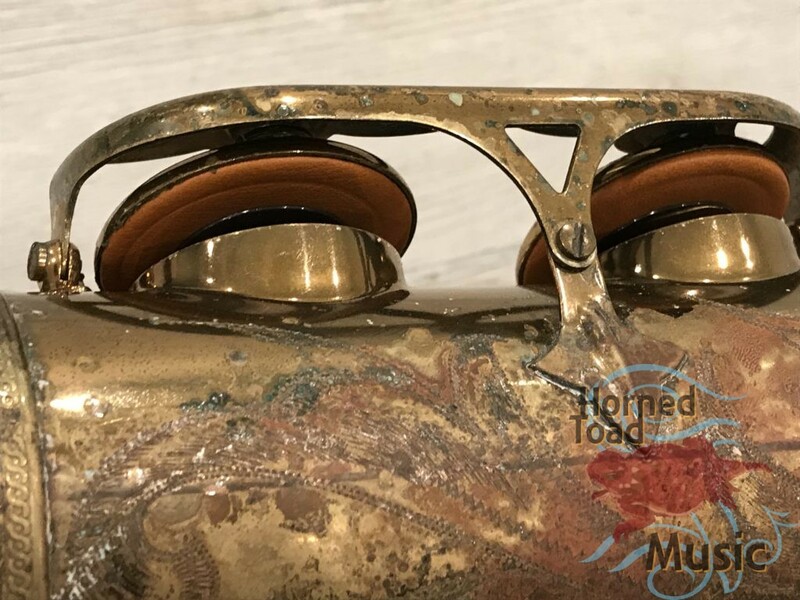 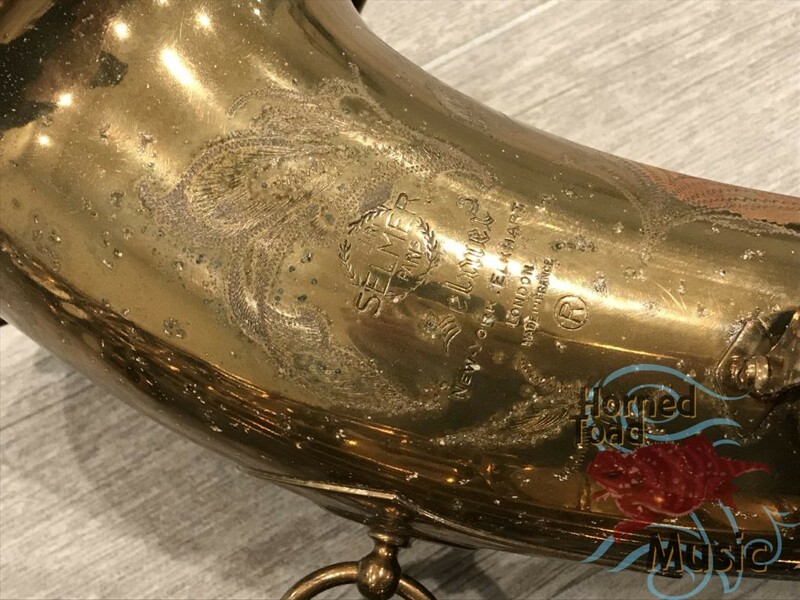 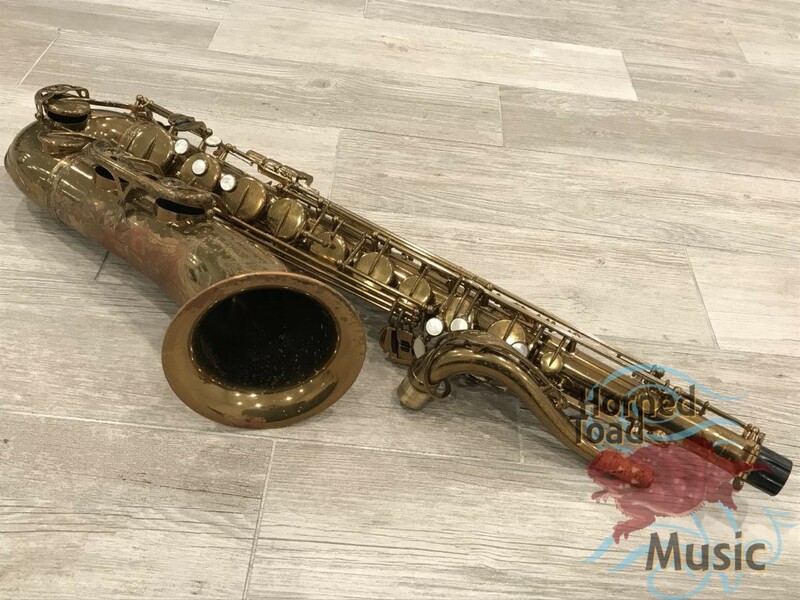 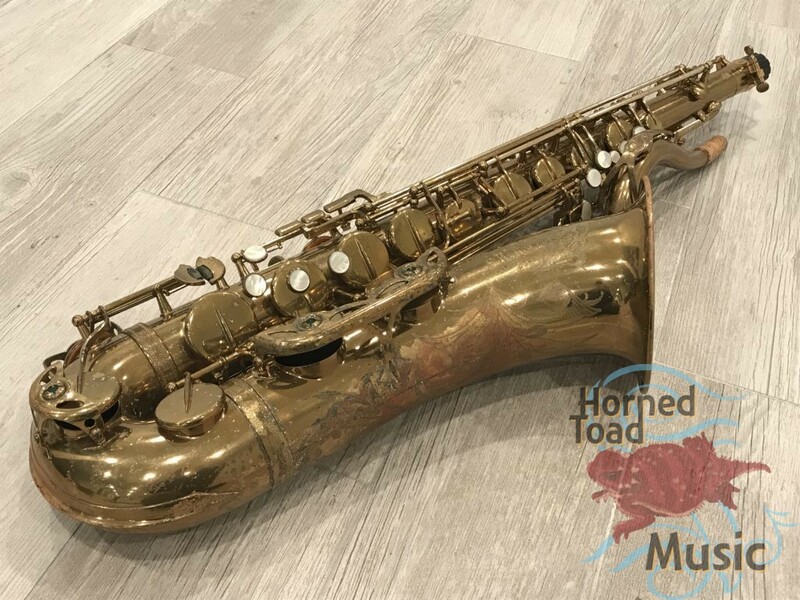 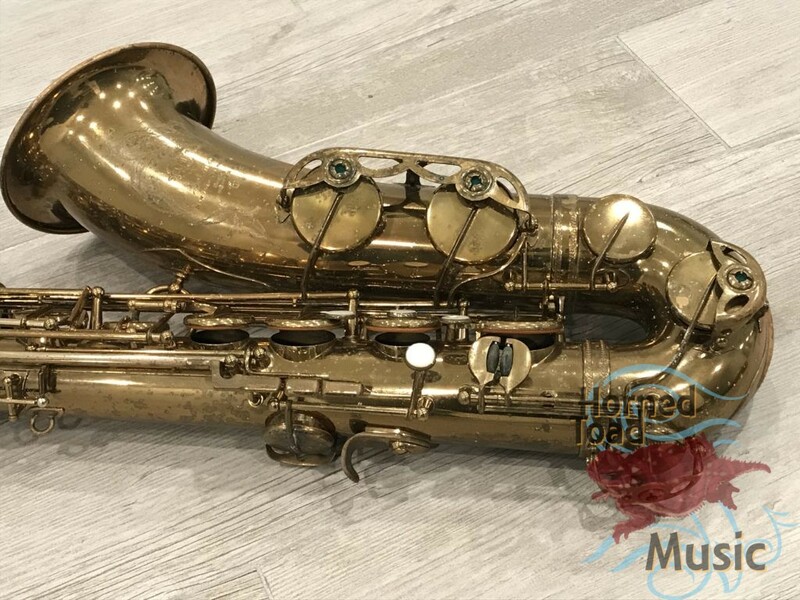 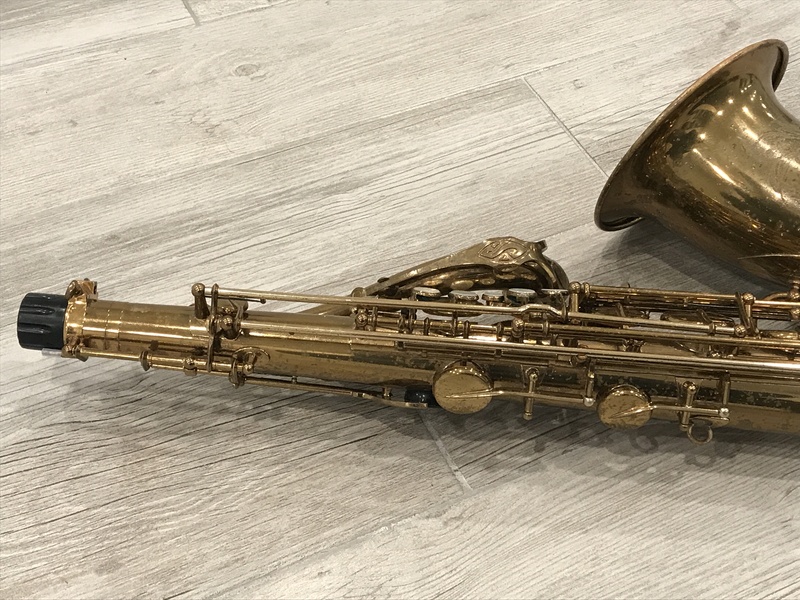 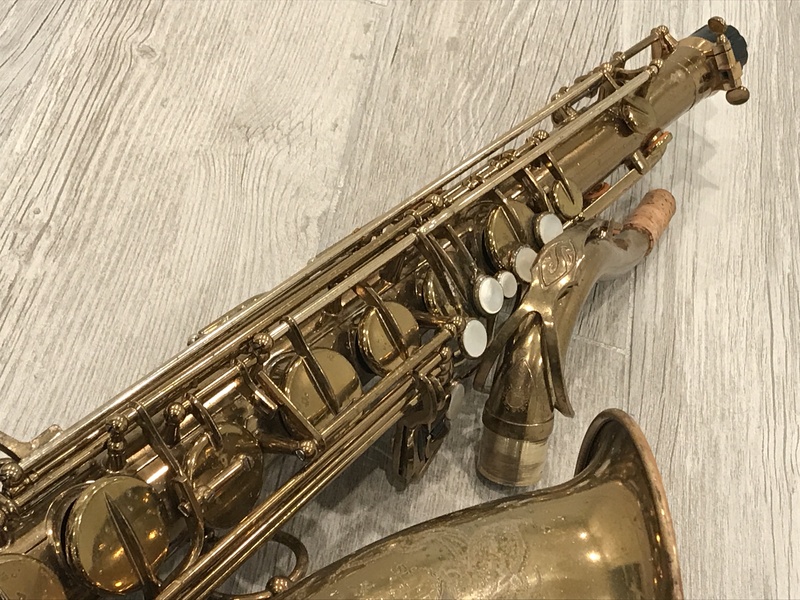 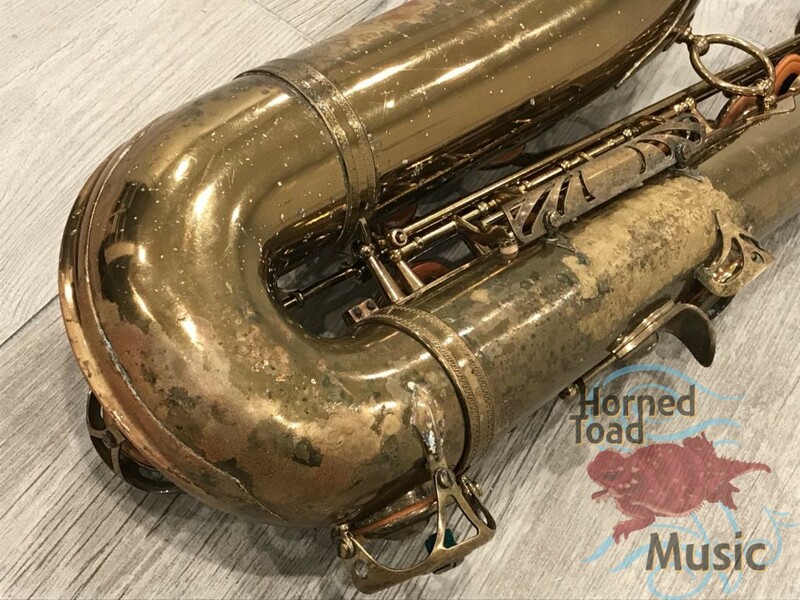 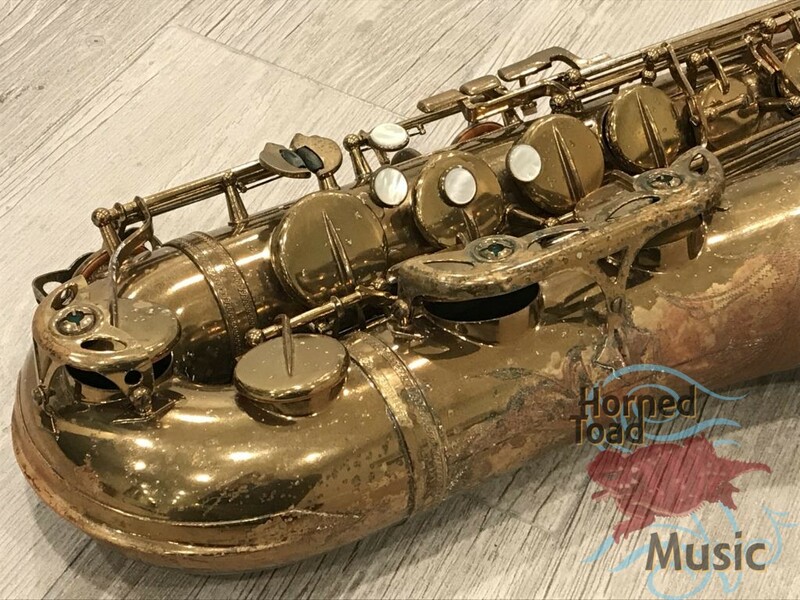 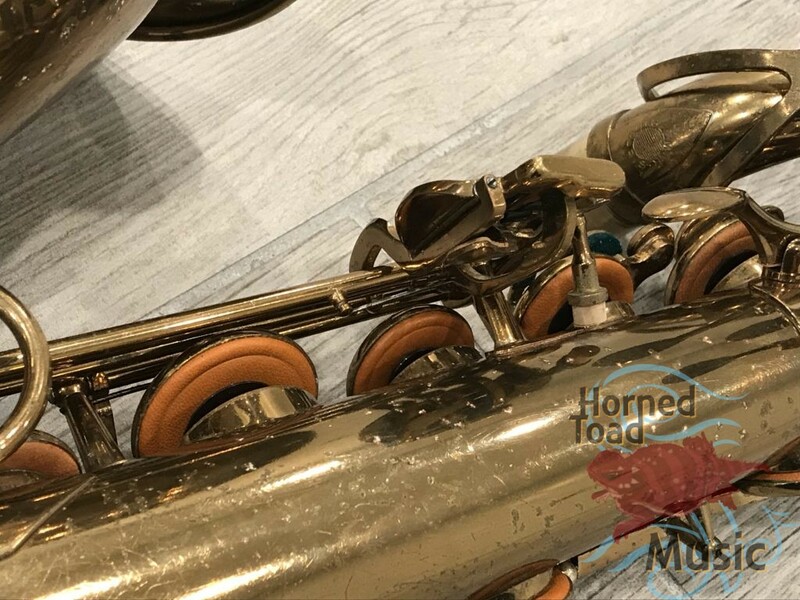 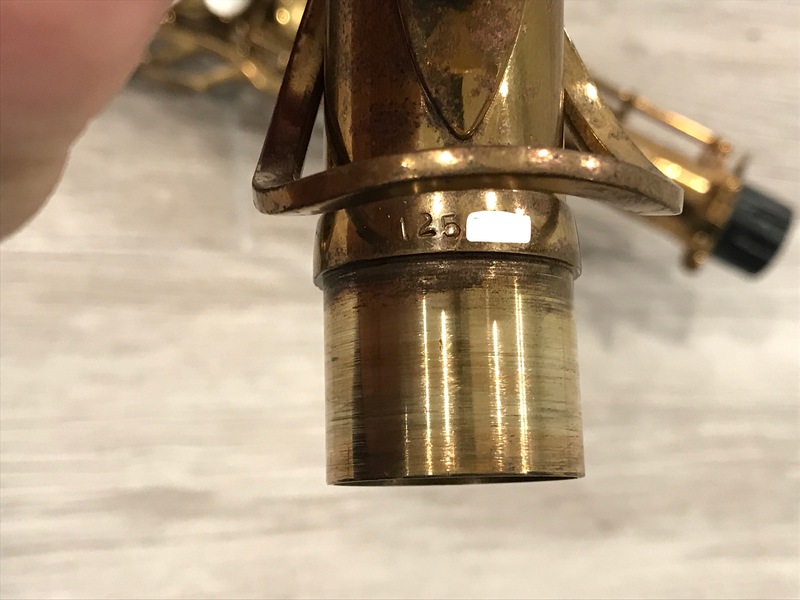 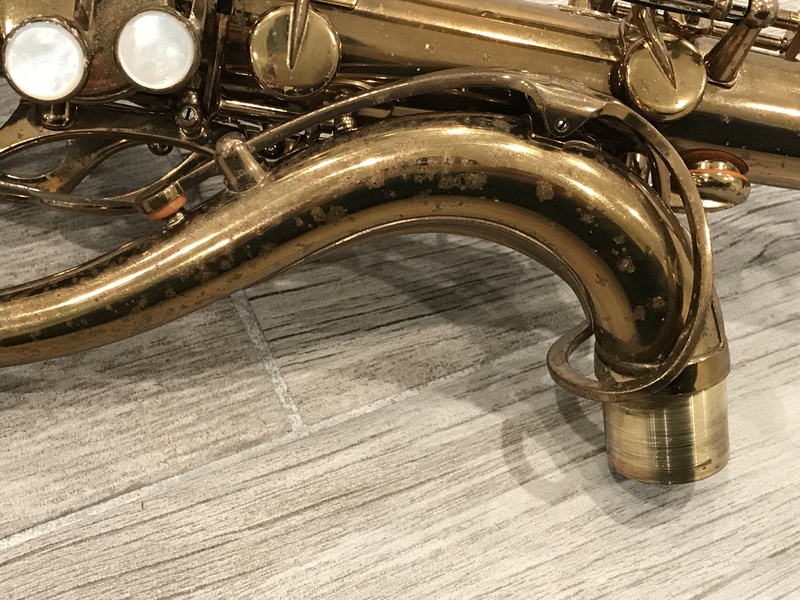 This horn will be a good deal for a real vintage yet precise player that is not the big bucks like museum pieces; extremely fun to play and would be great on the gig.